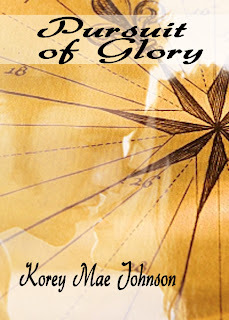 « Korey’s Spanking Fiction Has Hit the Shelf! Alright, y’all: I promised you a taste of spanking fiction. Here it is; it’s posted nowhere else… Of course, you’ll have to buy it to read the rest! Warm up on Chapter One as well! She looked up at the doctor for a second, who was obviously shocked by the revelation. Now, he looked even closer at her face than before. This wasn’t too surprising—the Weather family was quite well-known, particularly in Kingstown, so she thought nothing of it, but when she finally looked at the pale blue eyes of the ship’s captain—or admiral, rather, she understood he didn’t care for who she was one iota. “What the devil are you doing here, girl?” snapped Logan Liam firmly, looking very unhappy to meet her acquaintance again. She looked up from the ground at his angry eyes for a moment, but she didn’t know how to respond, so she looked back down at her small black slippers instead. “I just—” she began, very quietly. “I didn’t know whose ship I was getting on to,” she assured snappishly, not liking being talked to in this way, particularly because Logan Liam was not her father. Her blushing cheeks and angry stare gave away her embarrassment from his mockery. He was coming up with a furious response to her excuse, she could tell, but his mate interrupted it. “Should we give the standard punishment for stowaways, Sir?” Caldwell asked professionally. Caldwell bit his lip and motioned for soldiers to take her arms. Renny’s eyes widened and she tried to scramble backwards. Logan sighed exasperatedly and snapped, “I was being facetious, Mr. Caldwell.” It amazed him that a man serving under him for ten years couldn’t tell when he was and wasn’t being serious. Renny calmed immediately, though she seemed to understand that her sin was quite serious by the way she hung her head. “We are gentlemen, Mr. Caldwell. We will act like gentlemen.” Logan looked into Renny’s inquisitive eyes, which were looking for some sort of forgiveness and acceptance that she would not be getting out of him. “See that Miss Weather is taken down to my cabin, and give her anything she requires.” With that, the admiral disappeared back to wherever he came from. Caldwell cleared his throat, looking quite put out from the admiral talking down to him so, but straightened himself and turned to the doctor. “Is she alright, Sir?” he asked her. “Hm?” said the doctor, looking very distracted before he settled himself. “Oh, yes, she’s well. She’ll be even better with some good sleep and some water.” He looked at her very directly for a second, but then turned away without another word. Feeling her legs stretch both painfully and happily under her, she slid off of her seat and allowed herself to be escorted down to the captain’s cabin. As Logan finished his checks and duties, Renny never for a moment escaped his thoughts. Half the time, when thinking of her, his jaw locked in frustration, and other times he found himself quite pleased. At least she wasn’t discovered the night before—he hardly had a rash thought in his head reserved for the company of women. But still he didn’t like that he would now have to make sure that she was protected and well provided for. Henry LaNosse, the doctor on the ship, would no doubt help him—after all, he used to be a Weather, and was Sirius’ eldest, but he could tell that neither of them had recognized each other, and it was hardly a time for family reunions. The fact was Logan didn’t like women aboard ships—especially ships of war. There was too much danger, particularly in battle where women were helpless and vulnerable. It would be more awful if they were defeated and Renny’s virginity was taken by a lowly, lusty sailor. The thought enraged him and he told himself that Renny could, under no circumstances, be harmed or even touched, not even by him. He would give the young noble woman back to her close family in one piece, whether he died doing it or not. Finally, grumbling to himself, he told his mate that he would be in his cabin for the rest of the evening. When Admiral Liam entered his cabin and looked about, he was startled by not seeing her immediately and was on his way back out to call a search for her before he heard a hum across the room. It suddenly came to his attention that a privacy screen had been put up. He walked closer to it where he noticed, with much delight, he could vaguely see Renny’s silhouette behind the sheet, running a sponge over her body. He knew it wasn’t appropriate to watch her, but the old sailor in him couldn’t help enjoying it. “You seem a little too happy,” he observed, standing close to the sheet, secretly hoping to see more of her. He raised a concerned eye, even though he knew she wouldn’t be able to see it. “I’m sure it was. I hate to hear of any discomforts you have had to bear, Miss Weather, but—” he wanted to let her know that her happiness was not going to be long-lived, and that unless an astonishingly good reason was given for sneaking onto the ship in the horrible way she had, he was going to have to chastise her viciously, making being outside of the hot barrel also discomforting. “Could I ask you to hand me my dress, Admiral? I’ve laid it out on your bed, which might as well be in another world for all the good it does me over there,” she interrupted with a light chuckle as he watched her silhouette wringing out her soft curls. He sighed, hating to be treated like a female servant, but he found himself grabbing the garment and carefully bringing it over to her. She looked around the edge of the sheet and grabbed her dress with a sprightly expression on her face as if she expected to see him in good humor. Her smile faded as soon as she saw how stern he looked—in fact, he looked exactly as he did at the meeting; as if she shouldn’t have been there. She suddenly looked completely unsure of herself. “Thank you,” she murmured very quietly and sincerely as her head disappeared behind the sheet again to finish dressing. She heard the admiral pace about before the pacing stopped and she heard him take a deep breath, cueing that he was about to begin a lecture. “I am sorry for boarding. I didn’t know which ship I was going on,” she tried to explain before he could start haranguing her. “I just heard that this one was headed for Brinland.” She stepped out from behind the sheet, looking quite ready to be yelled at with her toes pigeon and her hands behind her back. Though there was still nothing about her that looked submissive other than her stature since her eyes were so tightly fixed on his own, as if reminding him that she wasn’t one to be intimidated. “That’s just the danger, Miss Weather,” snapped Logan. “Any other captain would have surely cut open your skin with the cat by now, not giving a fig who you are or who your father is.” He put his hand over his eyes. “Good lord, it could have been days before anyone would have gone in that room—it was for back stock. You might have well been dead before we found you, if not very dead,” he continued to lecture. She shrugged, looking very much without concern. “At home, I suppose,” she guessed, nearly with a proud gist to her voice. “You ran away,” he concluded. He rolled his eyes and sighed while putting his hand over his eyes; appearing that he was having a very bad headache. “Your father’s probably having kittens!” Sirius was a very organized man, very strict, but very good and loving under all. He knew his old school rival must have been panicked to the hilt. “Well, you’re just going to Brinland,” she said calmly. “No, Madam, we’re not just going to Brinland. We’re to intercept a ship bound to attack the Brinland docks! We might well have a battle before we even spot a sign of land!” He seemed to march dangerously close to her. Her eyes sparkled slightly with excitement, since she was, after all, a General’s pupil that had never been allowed near a battle. Though already thinking of the victorious event, she tried to calm him. “I’ll stay out of your way,” she assured, trying to sound calm. “Well, not that easily, if you’ve lived as long as you’ve lived,” she retorted smartly. “You stupid girl,” he spat angrily. “A twelve-pounder could easily deprive you of your leg. Or a head. You think because you’re ageless means you can grow back one of those things?” He was yelling now, growing angrier and more worried for her the more he imagined. He felt like his heart was going to beat out of his chest at the mere thought of returning Sirius’ daughter to him either in a box or missing some very important limbs. “Don’t call me stupid, and there’s no need to yell,” she ordered firmly, yet at the same time sounding awkwardly fragile. “Obviously I need to, Miss Weather, because you haven’t been yelled at enough!” he told her, removing his sword sheath and slapped it onto his desk with a clank. “I’ve never known such a streak of outright naughtiness,” he told her. She blushed at the word “naughtiness“. It seemed to change the structure of the confrontation immediately–she was no longer the admiral’s peer he was upset with–she was a naughty child. Her posture seemed to freeze when he said that. She looked at him as he sat so straight, proud, and expectant. Did he really think she was going to bed him? Like she owed him anything? She was angered by the mere notion. Forgetting to even argue about her fighting abilities, she straightened her posture threateningly, like a snake about to bite. “Get what over with?” she asked tersely, her brow knitted with firmness and confusion. “Your chastisement,” he promptly answered as he rolled up his sleeves, sounding as if she should have seen it coming all along. She reevaluated his posture–it suddenly looked all too familiar, only it was normally on her father as he sat on his stool in the woodshed, with the rolled sleeves and a strong posture. “You’re not going to flog me,” she informed certainly, standing strongly from her chair. “Be reasonable, Sir,” she told him with a whine in her voice. “Think of me more as your uninvited guest?” They stared each other down for a moment, but Logan seemed much more at ease than she was. “I won’t be beaten by anyone but my father, I simply will not!” She stomped her foot by way of stating that she had ‘put it down’. “I am done jousting with you,” he declared, looking very impatient. “Miss Weather, you do not want me to come to you,” he informed ominously. Suddenly he realized her posture had changed entirely, from a snake’s to a deer’s, looking like she was about to run. He stood up as to grab her, but his quick movements seemed only to bring on the inevitable. “Damn!” he cursed when she darted from the room at his very first movement. The girl seemed like she already knew every corner of the ship, every hallway, every sailor that walked in her way–she was moving with great speed, and he knew he was not going to catch her anytime soon, unless… “Seize that girl!” he barked at a sailor the girl was going to run past. She zipped past that sailor, despite his quick movements, and she got halfway down the main deck before two sailors came at her from two sides and held her still. “Let me go, you beasts!” she demanded furiously, desperately. By the time the Admiral got there, he was more infuriated than many had ever seen him; his face was red and his jaw was locked, looking like it had steel bones within it. “Thank you, Mr. Styles, Mr. Anderson,” he nodded when he finally found his voice again. He grabbed her arm tightly, but when she resisted with a sharp cry of “No!” he simply bent down and threw her over his shoulder like a sack of potatoes. “Put me down!” she demanded hysterically and proceeded to pinch, scratch, and hit the Admiral’s back as hard as she could. He gave a snort. “Absolutely not!” was the answer. “And you will now also pay for that little jaunt about the ship. Shame on you for your foolish behavior!” he scolded as he finally reentered his cabin. “I expected you to be able to accept your chastisement like a lady—not a small child!” He leaned down to plant her feet on the ground in front of him. “Do you have a hairbrush in your pack?” he asked, his eyes glancing over at the cloth haversack she brought along with her. She felt the pit of her stomach flutter. She had too much of a notion that he hadn’t any desire at all to use it for the item’s original purpose. She had been spanked with a hairbrush before—only not since before her mother passed away when she was seven. It was a very childish way of being chastised, even though she knew the admiral didn’t plan on using it as gently as her mother had done. “No,” was the answer that came through a moment of silence, her cheeks blushing furiously. “It had better not be in there, then, when I look for one there,” he said after eyeing her skeptically for a moment. He turned towards the pack. “Maybe there is,” she finally admitted as he picked up her sack. “I don’t remember.” She felt like dying when she saw him grab it out of the bag, wielding it, inspecting it, and then looking over and inspecting her suspiciously. Finally, he stomped over and grabbed her wrist tightly and led her over towards his desk chair. “I thought you said you weren’t going to use anything,” she whined. He sat down on the chair and, without any more warning at all, pulled her unceremoniously over his thighs. “That was before you took matters into your own hands,” he explained brusquely, grabbing for the bottoms of her skirts. “I wouldn’t,” he simply said, undeterred by her modesty. “And you will get your hands out of the way at all times, Madam,” he said firmly. She let out a dry sobbing noise and seemed to force her own hands to the floor. “You don’t have any right to do this,” she repeated with a cry as she felt all three layers of her skirts folding over her back. She gasped when she felt his hand on the hem of her pantalets, her face going redder than ever with humiliation. She whipped her hand back around and grabbed his hand firmly. “Stop!” she ordered. “You’re not my father or my husband. You can not bare me!” she tried to warn. “As this ship’s master, I can,” he differed mercilessly, pushing her hand gruffly back towards the floor. Although he didn’t seem to wait a single moment before he had pulled down her pantalets, he did greatly anticipate them–far more than he knew was appropriate. The moment he had even seen her lingerie he had become too excited–truth be told, he had never seen cuter pantalets in his life. They were of the softest white with the most innocent lace on them. In all his years, and as far as he knew, he had never seen a virgin’s bottom–the only ones he had seen were scandalously clad, seen for the few moments before the silks were ripped away before a torrid sexual encounter with some professional companions he frequently enjoyed while on land. When he saw her bare bottom, an evil trill was sent down his spine. Her skin was so fair, and so soft–he just wanted to put his mouth on it. As he restrained himself as much as he could, he let himself inspect it for a moment and saw that there were some red stripes settled ruggedly across it, particularly deeper on her thigh. “You’ve been beaten, Miss Weather?” he asked straightforwardly, yet a slight amount of sympathy did infiltrate her ears. It was then that the spanking commenced. Renny winced and squeaked after she felt his strong, calloused hand come down roughly on her delicate little bottom, already knowing she wouldn’t be able to tolerate it for very much longer. After the first few strokes she had decided that Logan was far harsher than her father–and he wasn’t even warmed up yet. She had never been spanked by anyone other than her father or mother and so was aghast, now knowing that her parents had been so overly delicate with her. It seemed like every smack of his hand left a red print and it didn’t seem to be long at all until she began yelping and kicking her legs with all she was worth. After the tenth spank she had lost her composure completely, and tried to turn around and protect herself with her hand. “Please, stop!” she begged. Renny was well beyond answering at this point–she had thought her bottom already tender before the spanking began. Now she was beyond capacity for logical response. “I’m sorry,” she finally sobbed, tears now freely falling from her eyes. ‘I’d say,’ she thought to herself with so much humiliation that she felt enraged, but in too much pain right now to do a thing about it. She suddenly thought of all the men that could no doubt hear all of this on deck, and tried to stifle her sobs a bit, until she felt him stop. She was in such relief–it was over! But then she felt the most uncomfortable swack she’d ever experience in her life and screamed as the flat of her hairbrush smacked the most sensitive skin just above her thigh. “Please have mercy!” she sputtered quickly as she sobbed, suddenly unable to conceive of anyone else on this ship but the two of them. RomanticSpankings.com! It will also soon be available through Amazon! I just found your blog and your fiction. I enjoyed this one very much. Well written. The captain is a great authoritarian! I just may have to buy this book! Thanks for a good-night read! Thanks for reading it! I'm really glad you liked it!